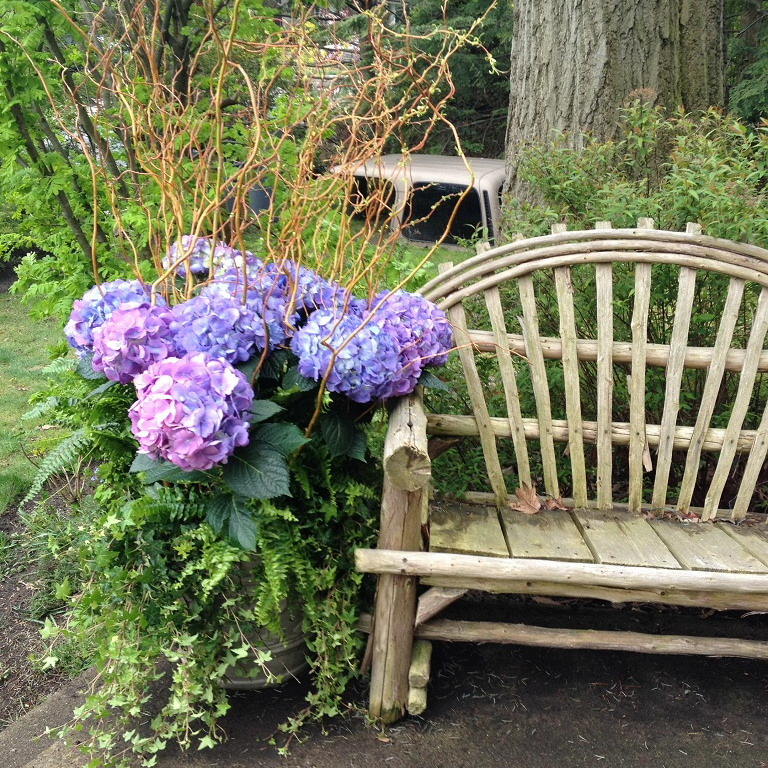 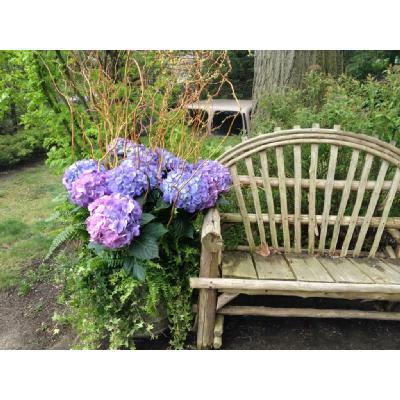 Rustic spring backyard urn of blue hydrangeas in classical container. 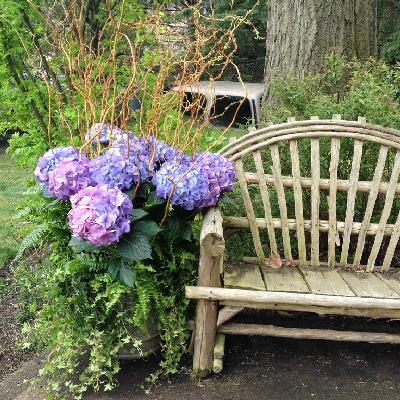 Delightful spring decoration of the garden. 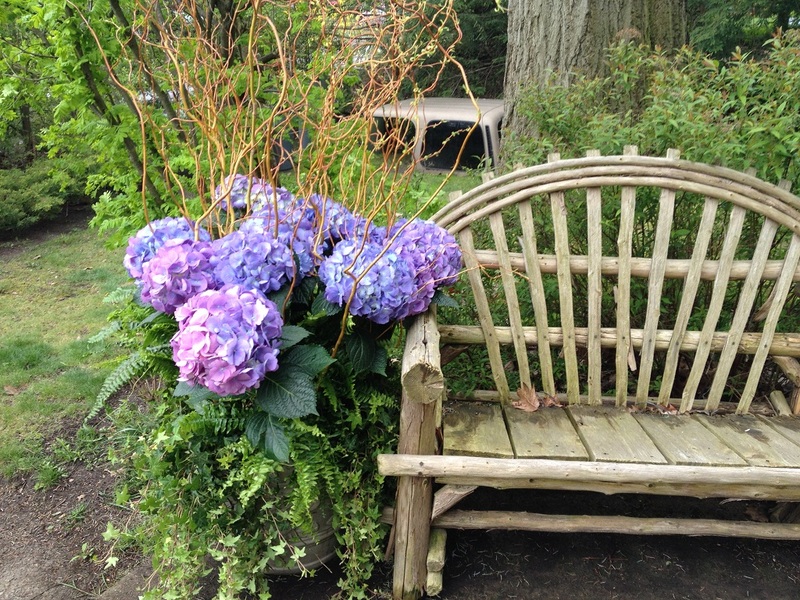 Spring containers installation in Toronto and GTA. 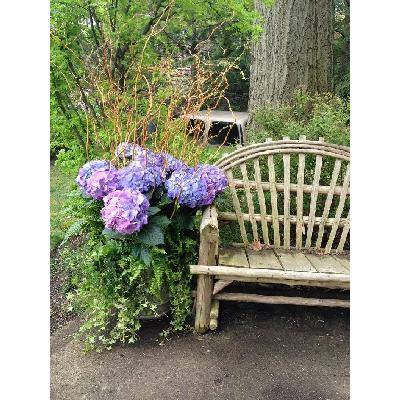 Enjoy online catalog of stylish Toronto planters from city trendy floral and horticultural boutique. 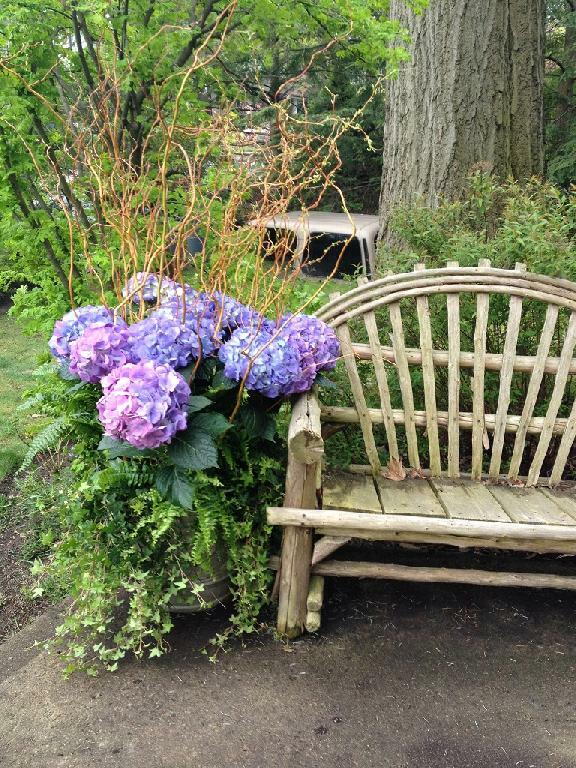 If you need any assist please call our Toronto flower studio.